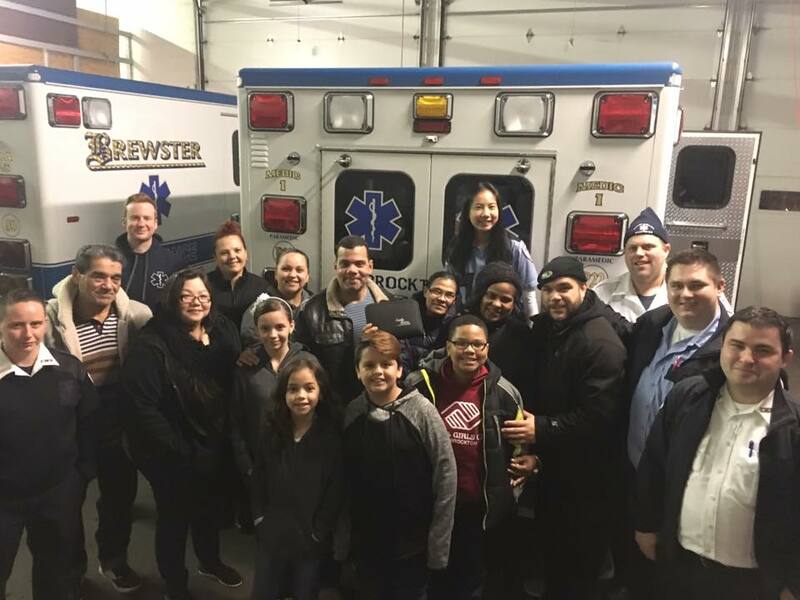 Q: What's your current role at Brewster Ambulance? WL: I'm a paramedic with Brewster Ambulance in Brockton on our 911 area. I've been working 911 in Brockton for two years since the start of the Brockton contract, and before that I was transfer medic for Brewster for almost three years, and then I worked as a basic doing transfers for three-four months. I'm about to have my five-year anniversary with the company. I love working here. My father was the fleet maintenance of Brewster Ambulance in the late 80s up until they sold, in '98, and so I grew up around Brewster Ambulance and around EMS in general. I remember the Christmas parties the company used to do and how they'd have Santa come and give presents out to the employee's children. Q: What was it like growing up around EMS? WL: I Grew up in Middleboro and Plymouth, but I live in Bellingham now. Throughout my whole childhood, I grew up around ambulances and there was always one in the driveway. I remember when the Brewsters gave my mother an old chair car to drive and being in that. I also remember going trick or treating at Mr. Brewster's house, and it was so cool because he gave out full-sized candy bars. When the company sold to Laidlaw, who became AMR, they were offering an EMT class to employee's family members. I didn't have any future planned then, I was 18, right out of high school. Now, I'm 27, been in EMS eight years now. Q: What was your education path and first jobs like in EMS? WL: My instructor at the time was Jolene Sheehan, she was my BLS instructor. I was EMS for a while and so I got myself into the paramedic program. Mark Brewster called my dad, about Plymouth, and said, "I'd like to offer you and your son a job, I'd like to interview you both." My dad at the time was a shop foreman with AMR and I was a BLS provider at AMR in Dartmouth, and later to Plymouth after AMR closed down Dartmouth. Mark called my dad the second that Plymouth approached Brewster Ambulance, and my father and I went to interview with Mark on Christmas eve. I remember I got dressed up for that, and then wore the same thing for my family's Christmas party. (laughs) He gave me an interview and at the end, Mark asked, "Do you want to work here, or is your dad making you?" I said, "Of course I want to work here! I remember Brewster Ambulance growing up. You guys have always been very kind and generous to my family. I'd love to work here." So I went to see Lorna Ross and she offered me a spot at Dartmouth doing transfers. I got my medic the following year and then started my medic shift with Brewster in July based out of 285 P6 on a 24-hour transfer truck, and my partner was Josh Morrison. Then they opened up their Norwood base, and I transferred there and did two 24's out of Norwood. A Monday-Thursday shift opened in Atteboro, and I was partners with Manny Famolare who convinced me to do 911. I was partners with Manny for two more years doing transfers out of Sturdy Memorial Hospital. Q: What is the scope of what you're doing now at Brockton? WL: On my 911 shifts, I do more acute patients. On transfers, you do more to stabilize patients. I have a med pump on my 911 shift, but it's only for one medication. It's a whole different skill set. If you don't use it, you lose it. Between my current work and what's going on at home because my wife I have a couple dogs, and so I have to work around that. Right now my current schedule works great, which will be perfect for when we have our son (I'm expecting my first baby, a boy, in March 2018. My wife is an RN and works for Framingham nursing) because I'll be a stay-at-home dad, and I can still work and take care of the baby five days a week. The first few years I was driving the 1941 Brewster Ambulance Cadillac in parades, and my dad taught me how to drive it. That's always fun to do, and Mark said it was okay to take my wife a few times. I have a 17-year-old brother who does internships with Brewster working with my dad. I have two siblings: a younger sister, who's four years younger than me, and three step siblings who are older than me. That was like another thing, I kind of grew up with a bunch of people in the medical field, not only my dad who was an ambulance mechanic since he was 19 years old, and then my stepmother was an RN, my mother works in nursing homes, so I've always grown up with people in the medical profession. M wife is an RN, and I started dating her when I was finishing up my EMT basic course. Q: Where did you get your EMS training? WL: My EMT basic course was offered through AMR, through my dad's work, and extended to family members of employees. NCTI was the training organization, and Jolene Sheehan was my instructor and she works for Brewster now. When I started in Brockton with Brewster, my partner was my football coach in high school. Bob. He's a great medic. I got my paramedic at Southcoast training. They closed down when the state required national accreditation and they were affiliated with a college. The state became national in June and I became a medic in May. I think I'm going on my 5th year being a medic. 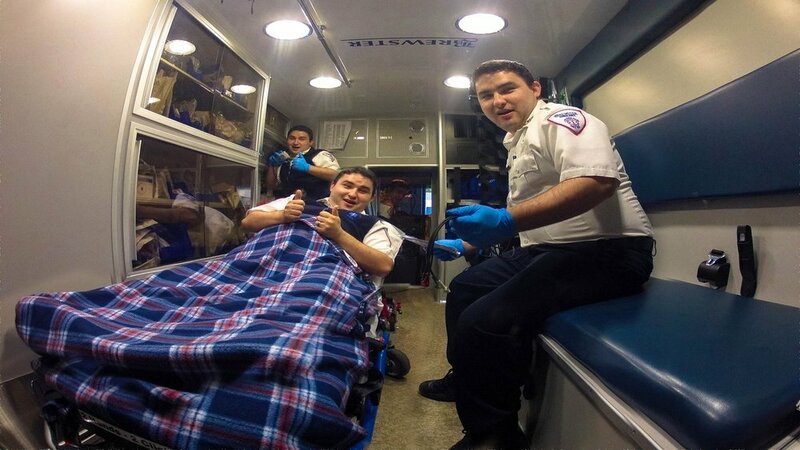 Q: What do like most about being a paramedic? WL: It's not that there's something different about being a paramedic versus an EMT basic, because I honestly love EMS. I wanted to be able to make a career out of it, afford a house, and I have a family. When you're an EMT basic, the next logical step would be to become a paramedic in progression. The thing I love about EMS the most is the interaction with people. It's not necessarily sick or healthy people, it's just I enjoy it all. I enjoy helping people, talking to them. And there's always that one person you get to help who is grateful, and that makes it so worthwhile, even if it's just once a year or once in a while. Q: What is it about the people aspect that you really like in EMS? WL: When I was doing transfers as a BLS provider, there's only so much you can do. When you do transfers, you see people for an extended period of time, from five minutes to a few hours. I've transported to the Vineyard, to Maine. My dad told me that EMS providers are one of the most trusted professions. So when you're with these people for an extended period of time, they open up and tell you their life stories. Sometimes they just joke around. However, with 911 calls, you're not around people that long. It's usually five to ten minutes, but you're helping people in that sense. There's not the social aspect, you're physically helping these people, whether you're giving them fluids or medications. It's just the whole social aspect of it—you're doing transfers, talking with people, but during 911 you're physically helping them medical-wise. Q: What would others say about how you are with patients? WL: I'd like to thinking I'm a people person. Everybody I've worked with I get along with. I've yet to hear anything negative about myself, but I think I'm somewhat charismatic and caring. I know there's a time to be focused, stern and serious with people and then there's a time when somebody needs a pick-me-up and I think I can sense those times pretty well. I get along with everybody, I'm just a people person in general. Q: Do you have a memorable story you can share? WL: I've had a patient's family not understand the diabetes and the patient was covered head to toe with table sugar. I turned to fire and asked, "Is that sand?" They said, "No, you should ask the family." After we got the patient stabilized and woke him up, my partner talked to the family. The patient woke up in the back of the truck and the first thing he asked me was, "What is all over me?" I said, "I guess it's table sugar." He said, "Well, why am I covered in table sugar?" I replied, "Well, your family knew your sugar was low, so I think that's how they dealt with it." He told me he was going to have a conversation with his family about it. It's unbelievable what we encounter in EMS. It's not that people don't understand, it's just something totally bizarre that may have nothing to do with a patient. One of the guys I worked with went to a call with chest paints, and his partner points and he turned and there was a 500-pound pot belly pig in this third floor apartment. That's just another aspect of the job I enjoy. I have had patients who have written notes to the company about me and my partner and the work we did. When I worked with Bob, I used to give him a hard time for being older than me. We had a patient had a heart attack, a myocardial infarction. He was in the back, and we were joking around with the patient, trying to make her feel better. I didn't know it until later, but she had contacted the company and said we did a good job and liked us. Everybody else hears about these things before it gets to me. My dad will call me and say, "Hey, George Brewster just said..." It's pretty cool. Q: There were a rash of baby deliveries in late 2017, have you ever been on a baby delivery call? Q: What are your next steps career-wise? WL: Good question. This past year I've been putting a lot of thought into this, especially with the kid coming. I thought about fire-based EMS, and finished this whole thing but my asthma may be a consideration, so I don't know if I'd try that again in the future. But if it came down to it, if the opportunity presented itself at Brewster, I'd apply for a higher position in the company. Brewster Ambulance has been so generous with the recent pay raises and I'm actually getting more money now than the fire department had originally offered me. Definitely changes the options I'm considering. Q: What are some of the other things that interest you? 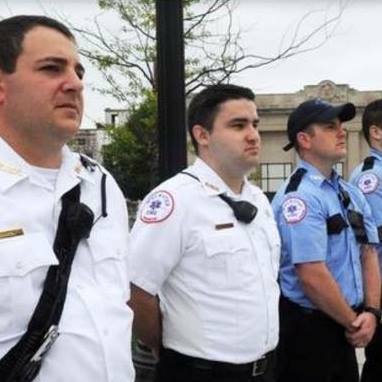 WL: I am a field training officer so I get new hires, third riding, and my favorite thing is to get students and brand new paramedics because I love teaching them. I love sharing knowledge I get on the job. The schools teach you what you need to pass the test, but there's so much more you learn on your own whether it's through continuing education or working on the streets. I've learned more in these past five years being a basic and paramedic than I learned in my courses. The only thing is that I love working on the truck. When you're in a field supervisor position like that, you don't see many patients, and there's not a lot of patient contact there. But I love teaching new medics, teaching students.